What does an actuarial consultant do? At their core, actuarial consultants are experts in quantifying financial risk, however there is much more to their role than simply crunching the numbers. Ultimately we provide advice to our clients which they can then use to help inform their financial decision making. This means it is incredibly important we don’t just provide them with the figures but instead communicate our analysis in a clear non-technical way, ensuring our clients fully understand its implications, as well as bearing in mind any limitations. Opportunities usually exist for actuaries to get involved when there is some uncertainty for an organisation in the amount or timings of their receipts or payments. For example, advising final salary pension schemes on how much money they need today in order to be able to afford all their future pension payment obligations to scheme members. The financial risks in this situation arise from a variety of factors which we must consider such as inflation, changes in life expectancy and volatile investment returns. To tackle such problems actuaries will use a combination of complex mathematical modelling, logical reasoning and their professional judgement. Why did I choose Hymans Robertson? 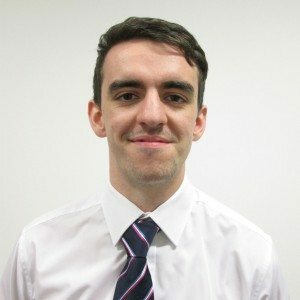 I work within the Actuarial and Benefits department at Hymans Robertson whose main focus is providing advice to the Trustees of UK private sector pension schemes. However, as a firm, we also provide actuarial services to public sector pension schemes, as well as the life and financial services sector. I wanted to work for a consultancy as opposed to another actuarial role so that I could not just use my technical ability but also have the opportunity to develop my ‘softer skills’ on a day to day basis. I chose Hymans Robertson in particular because they pride themselves on encouraging employees to forge their own career, rather than making you fit into the same corporate mould. We are also a firm of actuaries, rather than a firm with an actuarial department. Because of this, at the highest level they understand how challenging the series of exams are which all actuarial trainees are required to pass in order to qualify. This means there is an emphasis on the importance of a good work-life balance and fantastic study support is offered, including one study day every week, study materials, exams and tutorials paid for, a dedicated study mentor and a large community of actuarial students to aid you at every stage of the process.